You’re on the job hunt, and you’re clicking send again on yet another application. You wonder: Where is this going? A black hole? We’ve all been there. It can be frustrating and disheartening to send your resume into what feels like outer space, only to refresh your inbox and find the same, standard auto-response that your application has been received — and then hear crickets from the company for months after. You start to wonder if anyone is even reading the resume you’ve worked so carefully to craft. Luckily, there are some surefire ways to increase your chances of landing an interview. 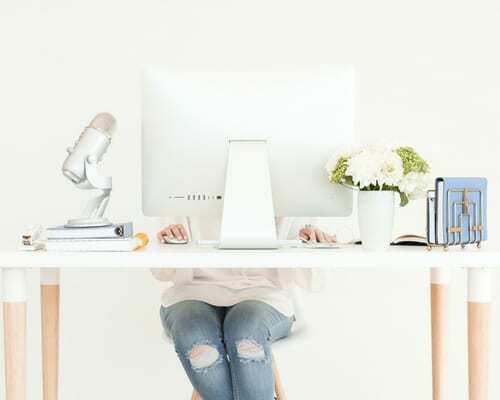 Strategically using resume keywords is the first step to getting past an automated screening process and ensuring that an actual person reads your resume. It’s important to look at the job description and required skills and use verbiage from it to describe your work experience. There are also certain powerful words — like “imagine” — and desired skills — like “problem-solving” — that you should use in your resume. This may be more time-consuming than what you’re used to, as you’ll need to tailor your resume for different applications, but the time investment is well worth it. If you’re able to upload your resume as part of the application process, design is a great way to stand out. If designed in a professional and appropriate way, a visually memorable resume can resonate. It’s also important to note that you should stick to one page and that your formatting is organized and easy to read. In fact, a woman I know once applied to a job in the entertainment industry by creating a comic book for her cover letter and resume. Needless to say, she definitely stood out (and she landed the job!). There are great resume templates you can find online for inspiration and several creative resume styles you can experiment with depending on the job. As someone who has hired candidates, I can attest to the fact that it’s refreshing to receive an application with a pop of color or an interesting design after scanning tons of black-and-white pages! Just as important as using strategic keywords is including concrete and creative examples to showcase your skills. You should avoid generic descriptions and really get to the “how” of what you’re trying to illustrate. Ultimately, your resume should build your professional narrative, and highlighting specific examples will help add more color to your background and story. 4. Proofread. Then proofread again. What’s the quickest way to get your resume automatically disqualified? Typos. It’s important to carefully read your resume — at least a few times — to ensure you catch any typos, misspellings, or grammatical errors. You should also look for duplicitous information; you want to showcase your entire skill set, so make sure you’re not using repetitive examples of your work for each job description listed on your resume. To avoid this trap, I recommend going through each of your prior jobs and thinking through several key experiences and results. Write each of these down under each of your former titles so that you have go-to examples to include on your resume (Pro-tip: This exercise can also help when you’re interviewing and speaking about your work experience!). After you’ve read your resume (reread it … and then reread it again! ), you should consider asking a mentor or friend to scan it and offer constructive feedback. Bonus: often mentors, friends, and colleagues can help point out examples or descriptions of your skills that you may not otherwise have recognized on your own. The adage goes: It’s not what you know, it’s who you know. This can be especially true during a job search, where networking is a critical component to your success. 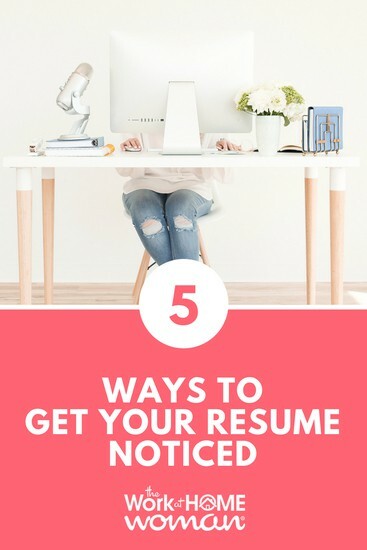 Perhaps the surest way to get your resume noticed is to have an acquaintance pass it along to the hiring manager and connect you directly when possible. This can also help you find out more about the role and company before formally applying through an automated system. Additionally, many automated application systems include employee referrals, which helps flag your application for recruiters. When possible, always apply through an employee referral portal. What you do offline (networking!) can help you land the interview online. Now comes the not-so-fun-but-super-important part. Commit to spending a bit of extra time on these five key efforts — and you’ll be more likely to land some interviews. And don’t forget, your resume helps tell your professional narrative, so brag and highlight your accomplishments! What tips do you have for getting your resume noticed? Drop us a note; we'd love to hear from you! Mary Pharris is director of business development and partnerships at Fairygodboss, where she works to improve the workplace for women every day. Prior to joining Fairygodboss, she spent nearly 10 years working in politics and nonprofits as a fundraiser and managed her own firm for two years. When she is not busy thinking and talking about how to make modern workplaces better for women, she enjoys spending time with her family, exploring New York City and volunteering. She earned her MBA from the University of Texas at Austin McCombs School of Business and holds degrees in journalism and political science from the University of North Texas.